It’s that time of the month again!! Where I bring you another 10 Minute Idea! This series is based on the idea that sometimes ten minutes is all we have but that doesn’t mean we can’t use that time to come up with beautiful and useful ideas. Each month, a fabulous team of creative bloggers will be sharing ideas with you, so make sure you scroll all the way through to find the other projects. 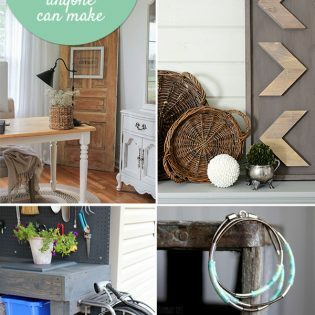 This month we are focusing on a quick and easy decorating projects and I am sharing my ideas for a quick front porch update. Sometimes all you need is a few little tweaks to make your home feel more inviting. Our front porch is small and a little awkward. We have a storm door, which I love. But, it opens out so I am limited with what I can put on the porch because it can get in the way of going in and out. 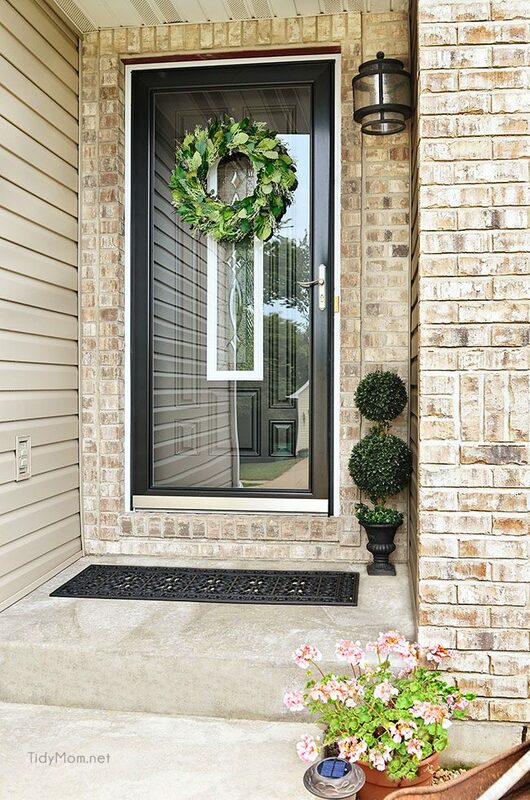 So I have not done much with the space in the two years we’ve lived here, other than hang a wreath on the front door. First I swept the concrete and cleaned off the grime. 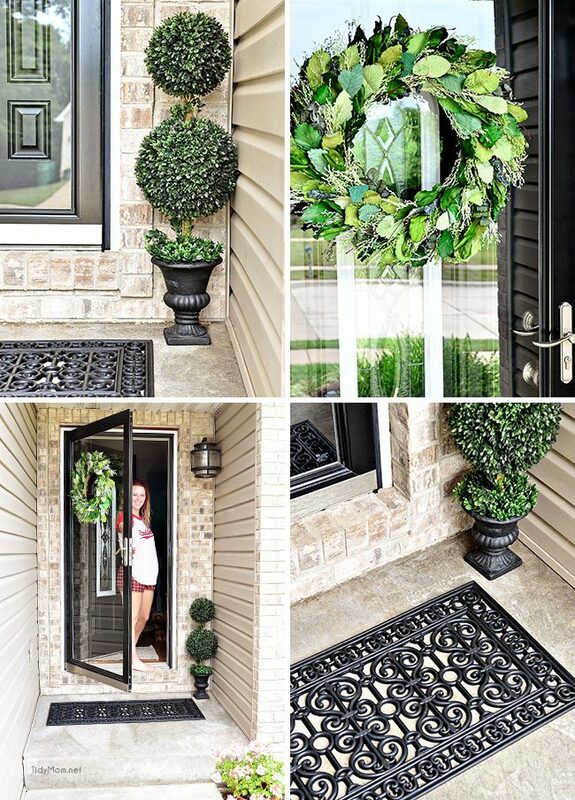 I picked up a new larger door mat and wreath (on clearance!!) from the Smith & Hawken line at Target and a faux topiary at HomeGoods. 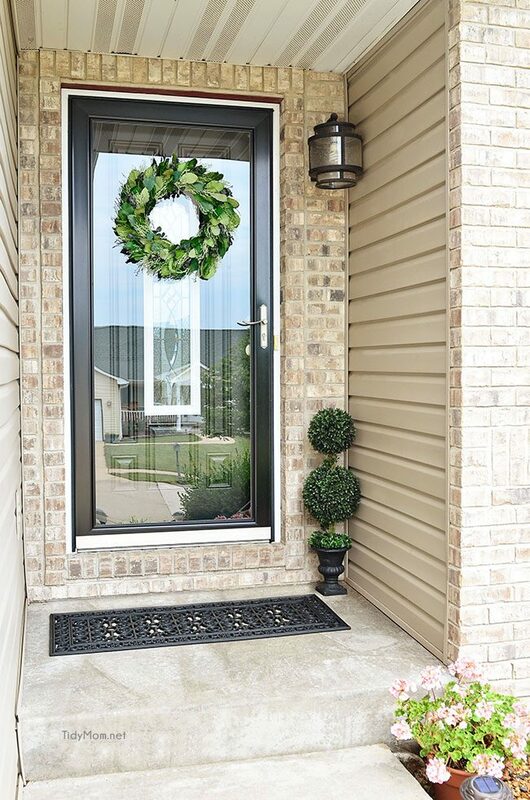 I used a clear 3M Command hook to hang the wreath on the storm door, so it shows up more. The topiary was just the right size for the corner next to the door, it adds a bit of class without getting in the way. With our crazy weather, my potted plants aren’t looking their best, but I did move my best geranium to the corner in front of the concrete step…..I couldn’t believe what a difference that little move made!! It hides an ugly spot in the concret. 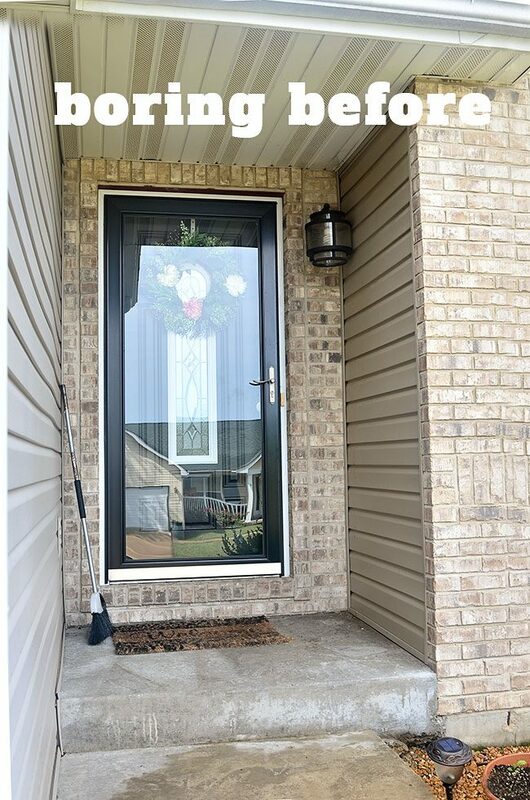 $75 and 10 minutes later……………and I now have a front porch that looks nice and I’m wondering why I didn’t do it sooner. It’s absolutely perfect and feels so welcoming! So pretty and fresh! Love it Cheryl! Sooooo cute! Love what you’ve done with it! Love it! What a great transformation! I like your transformation! This is my favorite 10 minute update!!! 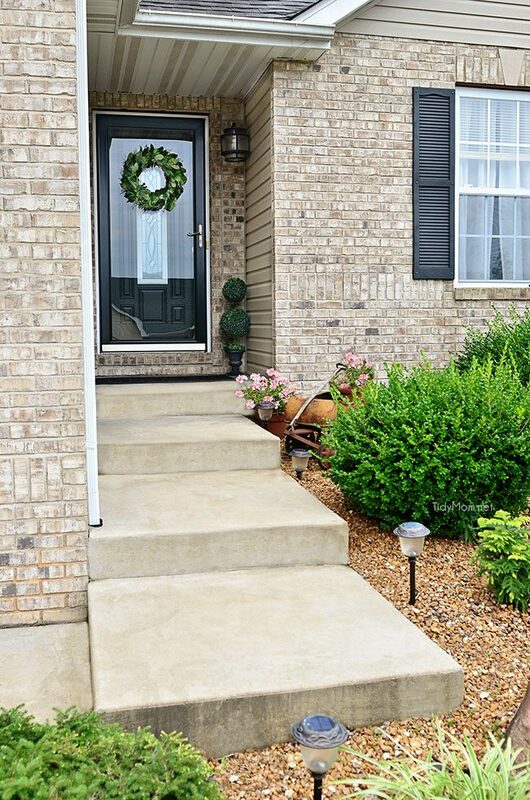 It is really amazing how a few small details can change the whole looks of a front porch. Everything looks great. Thank you for sharing.